В межвоенный период огромную популярность получили разного рода авиационные рекорды. Рекорды в немалой степени стимулировали развитие авиации - достаточно вспомнить гонки на Кубок Шнейдера с их влиянием на развитие скоростных качеств самолетов. Не намного ДальшеMore>>> престижнее рекорда скорости считался рекорд дальности, для установления которого самолеты проектировались специально или же радикально модернизировались. К первым относится Fairey Long-Range Monoplane, два таких самолета построили по спецификации 33/27. Продувки показали, что наибольшие шансы побить рекорд дальности полета имеет высокоплан с крылом консольного типа. Первый рекордный моноплан поднялся в воздух 14 ноября 1928 года, имея один W-образный мотор Napier Lion XIA мощностью 570 л. с. Спецификация оговаривала дальность полета в 8045 км, на момент первого полета моноплана мировой рекорд дальности составлял 7187 км (установлен на Savoia S.64). Масса проблем с силовой установкой самолета заставила перенести 24-часовой перелет в Каир на март 1929 года, больше чем на три месяца. Изначально предполагалось попытаться установить рекорд на маршруте Крануэлл - Кейптаун, но когда к апрелю 1929 года все задержки удалось устранить, над Южной Африкой установилась плохая погода. Тогда был проложен новый маршрут до Бангалора в южной Индии. Из-за дефектов и отказов до и во время полета перелет пришлось завершить в Карачи. Расстояние в 6647 км самолет прошел за 50 ч 37 мин. Хотя топлива на установление рекорда дальности не хватило, впервые был выполнен беспосадочный перелет из Англии в Британскую Индию. В декабре 1929 года Monoplane вылетел из Крануэлла в Кейптаун с задачей улучшить рекорд дальности (7905 км), установленный на Breguet Bre.19 в перелете Париж - Маньчжурия. Полет Monoplane завершился катастрофой - самолет врезался в гору в районе Туниса, оба летчика погибли. Опыт постройки и эксплуатации первого самолета был учтен в пересмотренной спецификации 14/30, выданной на постройку второй машины. Long-Range Monoplane II выполнил первый полет 30 июня 1931 года, а месяц спустя его передали британским ВВС. На второй машине установили автопилот и самое совершенное по тому времени приборное оборудование. По возвращению из пробного рейса в Египет машина получила на посадке незначительные повреждения, которые оперативно устранили. 6 февраля 1933 года Monoplane II взлетел из Крануэлла и пролетел за 57 ч 25 мин расстояние в 8707 км, приземлившись в Уолфиш-Бей, Юго-Западная Африка (ныне Намибия). Новый мировой рекорд дальности полета был установлен (расстояние по дуге большого круга составило 8595 км). Рекорд продержался всего три месяца - Bleriot-Zappata 110 пролетел из Нью-Йорка в Сирию по дуге большого круга 9104 км. 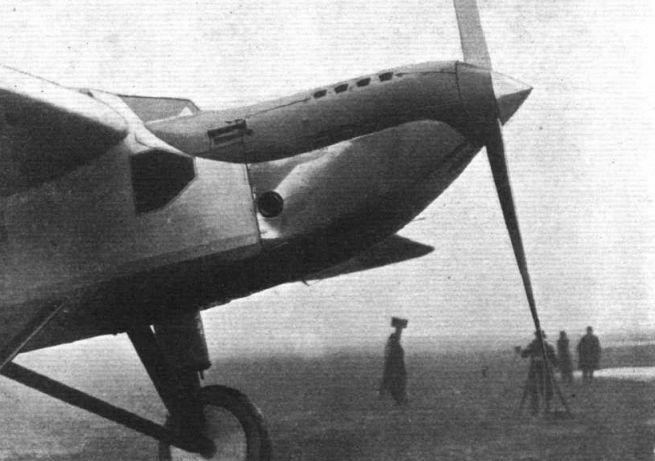 В 1934 году предполагалось установить на Monoplane дизель Junkers, что позволило бы увеличить в теории дальность полета до 13 358 км, однако этот план в жизнь претворен не был. 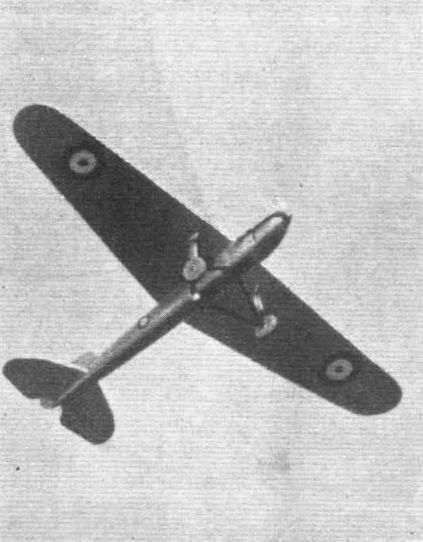 DURING the discussion of Prof. Melvill Jones's paper on "The Streamline Aeroplane," read before the Royal Aeronautical Society recently, Captain C. C. Walker, of the de Havilland Aircraft Co., pointed out that it would appear that the de Havilland "Tiger Moth" came somewhere near, or at least went a considerable distance towards, the ideal streamline aeroplane. The Schneider Trophy machines were other examples. In the large aeroplane class there have hitherto been few, if any, machines which could be said to have advanced sensibly towards the machine in which the only drag was the induced drag on the wing and the skin friction on the surfaces of the whole machine. In the Fairey long-distance monoplane there is cause to believe that yet another step has been made towards Prof. Melvill Jones's ideal. The Air Ministry has elected to surround this machine with a certain degree of secrecy, which prevents one from discussing in full many of the interesting features with which this new product of the Hayes establishment bristles. Nevertheless, sufficient information has been released by the Air Ministry for a student of the data and photographs which we publish this week to form a fairly good idea of the degree of aerodynamic refinement which has been achieved in the design of the machine. In the following we will give first the actual text of the Air Ministry notes dealing with the machine, and then a few comments on certain statements made therein, and deductions from an inspection of the photographs. "1. Aircraft Structure and Layout. - The machine is a pure cantilever monoplane. The wing varies throughout its span in thickness, chord, and incidence. Tests have shown that the wing possesses a very high lift coefficient and there is no sudden stall after the angle of maximum lift has been reached. "Previous cantilever monoplanes without solid covering have experienced trouble with twisting of the wing during manoeuvre; in this design this is obviated by special patented internal bracing. "The undercarriage is of normal type, the wheel track being very wide to give stability on the ground, and the wheels and tyres being of specially strengthened type. The wheels are mounted on ball bearings to assist the take-off. "2. Engine. - The engine is practically a normal service engine of well-tried type with carburettors tuned for economy and slightly higher compression-ratio pistons fitted. "3. Tests. - (a) Exhaustive wind-channel tests were carried out at the National Physical Laboratory before construction was commenced in order to check the aerodynamics of the aircraft. "(b) Half a wing was made and tested under full load conditions (including factors of safety) for all conditions of flight. "(c) When the fuselage was erected the rear end was loaded up to test the torsional rigidity of the structure under fin and tail loads. "(d) A wheel was loaded beyond any load that will occur during landing without any sign of failure. "(e) An identical engine was run on the bench for 70 hours under the conditions that will obtain during the flight. "All these tests have been most satisfactory. "4. Fuel and Oil. - The machine carries more than a thousand gallons of fuel carried in the wings, feeding by gravity to a collector tank under the floor of the cabin, whence it is pumped to the engine. If the engine pump falls, a wind-driven pump can be immediately pushed through the side of the fuselage, and if that fails a hand pump can be used. "The main oil filter is duplicated, so that the flow can be switched over to No. 2 while No. 1 is being cleaned. "5. Cabin. - The cabin is totally enclosed, provision being made for cleaning the windows. All windows are of triplex and open for ventilation, if necessary. The navigator can look downward through the wings and through a special sight in the floor for taking drift sights, as well as through the roof light. There are also windows in the sides. "The pilot's seat is fitted with pneumatic upholstery and a pneumatic bed is provided for use in the cabin. "The navigator has a comfortable seat and folding table to work at. "An instrument has been evolved to ensure that if the machine goes off its course inadvertently, either vertically or directionally, a hooter sounds in the pilot's ear. "Hot and cold drinks and an ample supply of food are carried in the cabin." So much for the official notes. 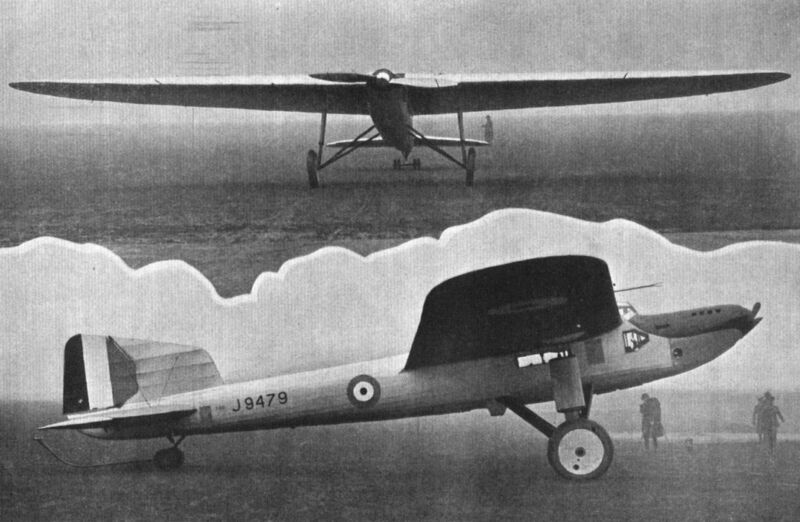 The Fairey monoplane is so extraordinarily interesting a type that it is difficult to refrain from speculating on its chances to beat the duration and distance records. That the chances are good there can be little doubt, as the Fairey Aviation Company is not likely to have failed to make very sure of their ground, but in the absence of official information on the subject it is very tempting to attempt the somewhat difficult task of forming an estimate which shall be somewhere near the actual facts. The official figure for the amount of petrol carried is "more than 1,000 gallons." Accepting 1,000 gallons as being approximately the quantity of fuel, and knowing that the previous duration record without refuelling was 65 hours 25 mins., it is to be assumed that a duration of not less than 70 hrs. must have been aimed at. This would give an average consumption of 14-3 gallons per hour. Obviously, while the machine is fully loaded the consumption will be greater than this and towards the end, when something like 7,000 lbs. weight has been lost by the consumption of nearly all the fuel, the hourly petrol consumption will be smaller. 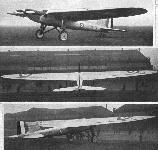 The photographs of the Fairey monoplane which we publish this week disclose certain very obvious features in the design. Thus, the wing span, which is given as 82 ft., is obviously very large in proportion to the cross section of the fuselage. The mean chord is given as 11 ft., which would give a total wing area of 902 square ft. This is a very large area for a monoplane and probably indicates that although the power loading at the start may be fairly high, the wing loading most likely is not unduly high. It is, of course, a well-known fact that one may with reasonable safety employ either very high power loading or very high wing loading. It is when an attempt is made to make both the wing loading and the power loading high that difficulties in taking off are experienced. It seems likely that in this respect the Fairey monoplane should be in the fortunate position of being able to take off relatively easily with its full load on board, especially as the span loading and induced drag must be fairly low. By placing the fuel tanks in the wing several desirable features have been attained. For instance, by this means it has been possible to keep the fuselage of quite small cross sectional area. The fuselage is, in fact, little more than a substantial beam carrying the tail surfaces and engine, and housing in the centre the crew of the machine. Thus, the Fairey monoplane must be regarded as having gone a considerable way towards the old Junkers ideal of the flying wing, i.e., the machine in which crew, passengers, etc., are housed entirely in the wing, the fuselage and all other projections being suppressed. It is not claimed, of course, that there is no parasite drag on this machine, but it must be a much smaller percentage of the total than is found in the great majority of machines. What the minimum drag is cannot well be estimated with any degree of accuracy, unless one is in possession of a considerable number of data. In view of the very small proportion of fuselage to wing it seems quite possible that the Everling "high speed figure" is at least as high as, if not higher than, that of any machine of which we have data. Thus, for the De Havilland type "Tiger Moth," the Everling "high speed figure" is 26, which is a value well above the average. In all probability the figure for the Fairey monoplane is higher than that, but even if this figure is assumed we arrive, if a propeller efficiency of 75 per cent, at top speed is assumed, at a minimum drag coefficient of 0-014 in British "absolute" units. That this figure is not by any means an impossible one will be realised when it is pointed out that it corresponds to a power requirement of 378 propeller horse-power at 130 m.p.h. or at 75 per cent, efficiency, to a brake horse-power of about 500. In point of fact, there is good reason to believe that the drag of the Fairey monoplane is lower than that, and it is quite possible that its actual top speed is nearer 140 m.p.h. However, it is not top speed that interests us so much as cruising speed. The Everling "distance figure" expresses ratio of lift to drag, multiplied by propeller efficiency. Usually, however, the optimum value of the "distance figure" cannot be found, as this requires a knowledge of the characteristic curves of the machine and the power developed by the engine at the best cruising speed. Consequently, the "distance figure" given in FLIGHT'S descriptions of aircraft is nearly always that corresponding to top speed, and is thus often considerably lower than the optimum value. 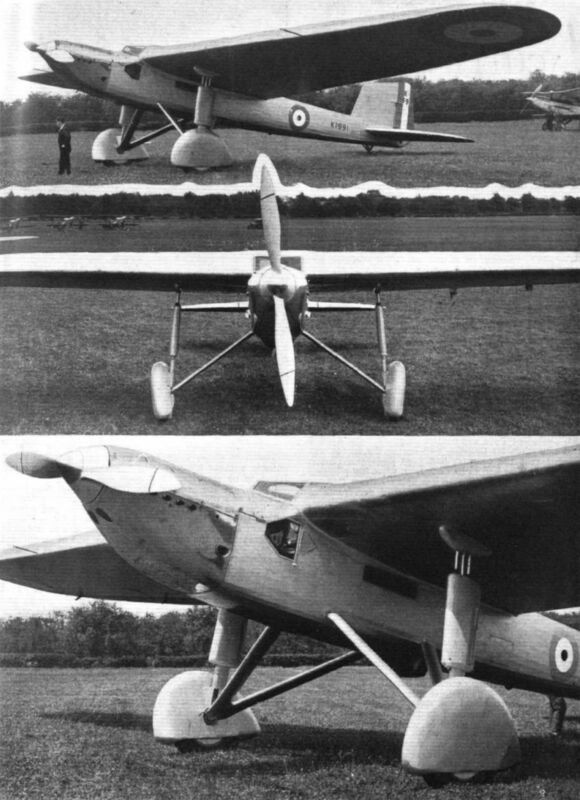 It seems likely that in the case of the Fairey monoplane the “distance figure" corresponding to best angle is at least 7, and in all probability it is more than that. But even assuming it to be 7 this would give a value of L/D of between 9 and 10, which is probably not overestimated. All these speculations, and they are admittedly little more than guesswork, appear to indicate that the Fairey long-distance monoplane should have a very good chance of beating the existing world's straight-line distance record. This, it may be remembered, is held by the Italian aviators Ferrarin and del Prete, who on July 3, 4 and 5 flew, in a Savoia-Marchetti S.64 monoplane with Fiat A.22 engine, from Rome to Touros in Brazil, a distance of 7,188-26 km. (about 4,460 miles). The same two aviators had, about a month previously, established a world's record for distance over a closed circuit by covering no less than 7,666-6 km. (about 4,750 miles). The duration record of 65 hours 25 mins. is held by two German pilots, Ristics and Zimmermann, on a Junkers W.33 monoplane, with 280-h.p. 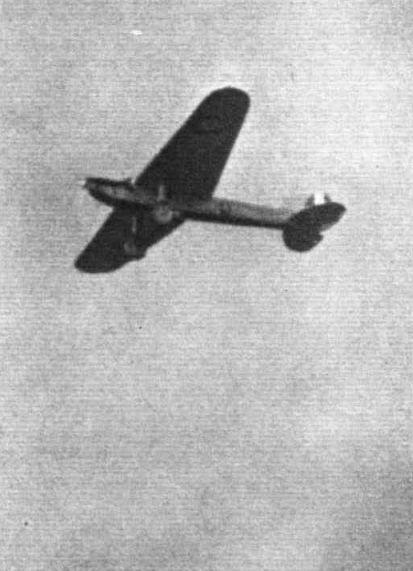 Junkers L.V. engine. Although the two records have much in common, there are essential differences. For the duration record speed is of very small importance; for the distance record, however, speed is obviously an important factor, and here really "clean" aerodynamic design is a tremendous advantage. We have no actual knowledge of the data of the Fairey, but it appears to us that if it is indeed able to beat the duration record it should be even more favourably placed as regards beating the distance record by a handsome margin. We have referred to the fact that placing the petrol tanks in the wing has several advantages. The reduction of the fuselage area has already been dealt with. The photographs of the machine indicate that the petrol tanks extend a considerable distance outboard. 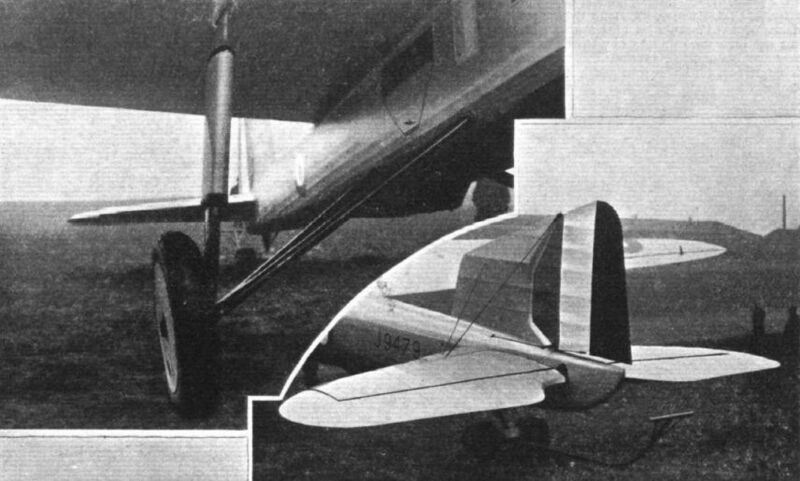 As at least half of the total loaded weight is constituted by the petrol, this placing of the tanks must have an important bearing on the weight of the wing structure. Not only does the distributed load relieve the stresses in the wing during flight, but the fact that more than half of the weight is outboard enables the telescopic struts of the undercarriage to be taken to the wing, and to support the petrol load direct when the machine is on the ground. In fact, the load transferred to the wheels from the fuselage must be relatively small, and thus a wide-track undercarriage with good ground stability becomes available very economically. 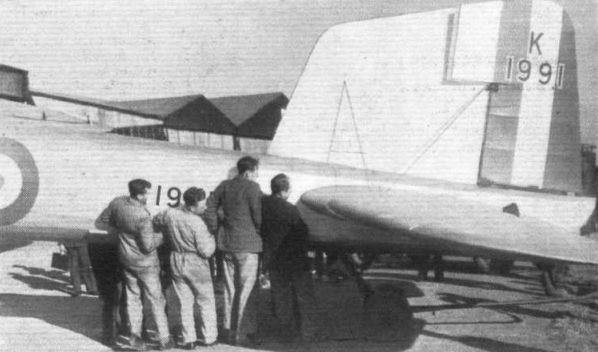 The careful streamlining everywhere is obvious, even from the photographs, and the placing of the wing in the style which recently the Germans have taken to designating "shoulder-decker" as distinct from a high-wing and low-wing monoplane, should result in reducing to a minimum the interference drag between wing and fuselage. Looking at the front view of the machine, one is struck by the fact that almost everywhere two or more members meet, they do so at a right angle, or at any rate at a large angle. Consequently it is to be assumed that the disturbance is less, and the interference drag smaller, than in a machine having many members meeting at narrow angles. Concerning the Napier "Lion" engine, there is little to be said. Its reliability is proverbial, and doubtless the fuel consumption of the specially-tuned engine is very low indeed. We should hesitate to assume that it was this particular engine Captain Wilkinson was referring to the other evening at the Royal Aeronautical Society dinner when he mentioned a special engine with a consumption of 0-41 lb./b.h.p./hour at full power and 0-31 lb./b.h.p./hour at three-quarters full throttle, but it is, perhaps, permissible to infer that there is some connection between the two? If we accept the average consumption of the "Lion" fitted in the Fairey monoplane as being 14-3 gallons per hour for 70 hours, then an engine of this fuel economy would be able to develop an average power of about 323 b.h.p. for that duration on the 1,000 gallons of fuel. The official notes state that the machine carries "more than 1,000 gallons." We suspect it carries considerably more! Altogether the effort is one of the most interesting made in British aviation circles for very many years, and we are personally optimistic of success whenever the machine goes for the Cape-London non-stop flight, which rumour has it may be attempted. The Fairey design is uncommonly clever, and the engine installed is reliable and economical. It would be difficult to imagine a better combination. 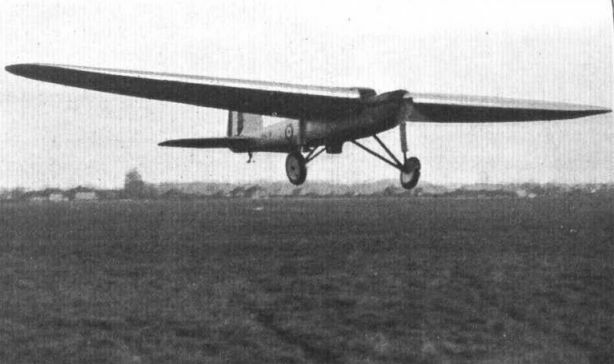 THE attempt which is shortly to be made on the world's long-distance record by the Royal Air Force Fairey (Napier) Long-Range monoplane is vastly different from the majority of world record flights in that it is definitely a Service flight. This means that everything possible has been done to ensure its success. The aircraft will not have to stagger off a specially prepared sloping runway many thousands of yards long, as has been the case on certain nights. It will not be forced to fly just above the trees for the first hours of its flight because its heavily overloaded state does not permit of a higher ceiling. No; it will just be straightforward flight with an aircraft peculiarly fitted for the job. In the first place, there is no such special runway available in this country, and even at the huge aerodrome of Cranwell the run into the prevailing wind has to be done up hill! In the second place, our Royal Air Force is nothing if not thorough, and would not be a party to a "do or die" attitude for a flight of this kind. Quite a considerable number of miles' range have been sacrificed in order that the pilots may have certain equipment to increase their comfort and their efficiency - on a flight like this one might very well say and therefore their efficiency. When it is realised that every pound extra weight means one mile off the range, it will be seen how easy it is to throw away a great number of miles. It will not be possible for anyone to suggest that more care might have been taken on this flight. All the essential instruments have been duplicated, and even quadruplicated in certain cases. Three altimeters are fitted, two being ordinary standard instruments, while the third is a small portable, but particularly sensitive, one. There are four compasses, two of the P4 type, one dashboard type, a P3, and one O3 for the navigator. There are two air-speed indicators, two Reid & Sigrist turn and bank indicators, and one S. G. Brown pitch and azimuth indicator. One of the most interesting features of the equipment is undoubtedly the use of "George" for all three axes. "George" is the automatic pilot about which there has been so much talk lately. In this aircraft he comprises two gyros, one to control the ailerons and the other to control the tail surfaces. This particular form of control has now reached the stage when it can be entirely relied upon to control an aircraft in the air far more accurately than a human being can do, and for such a flight as this it is eminently suitable. Its use will make flights of long duration through clouds and other bad conditions simple matters, thus giving the pilot time to devote himself to navigation and so decrease his nervious tension, and thus his fatigue. “George's" gyroscopes are driven by compressed air supplied from a small compressor driven by an airscrew, and air from the same source works a series of pistons which transmit the reaction of the gyro to the movements of the aircraft to the appropriate controls. By the time this appears in print it is probable that a preliminary flight to Egypt will have been carried out. This flight is being undertaken in order that data may be obtained which will further add to the safety of the record flight to South Africa and increase the chance of it being an unqualified success. Sqd. Ldr. O. K. Gayfurd and Fit. Lt. D. L. G. Bett are the pilots. Both have had experience on the annual Cairo to Cape flight by the R.A.F. Sqd. Ldr. Gayford joined the R.N.A.S. in 1916 after having served with the R.N.V.R. He has seen service in the AEgean Sea, Russia, Somaliland, Constantinople, Iraq, Kurdistan and the Middle East. In 1928 he commanded the R.A.F. Cairo-Capetown flight, and in 1929 carried out a tour of the British West African Dependencies for the purpose of inspecting and advising upon sites for seaplane bases and aerodromes in those countries. Fit. Lt. Bett entered the R.A.F. College at Cranwell in 1920, and after serving with No. 24 Squadron at Kenley he was in 1922 posted overseas to Helwan, in the Middle East command. 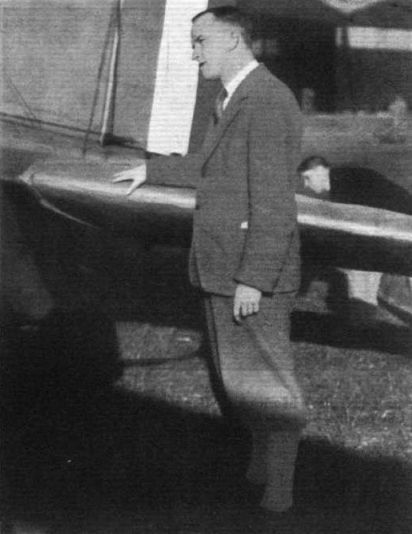 In 1927 he took part in the R.A.F. Cairo-Capetown flight, under command of the late Air Commodore Samson. On returning to the Home Establishment in 1928 he was posted to the experimental section at the Royal Aircraft Establishment, Farnborough, in charge of the engine research flight. The Fairey (Napier) itself is in all essentials the same is the first of its type, which flew non-stop to India, and afterwards crashed on a hillside near Tunis when flying to the Cape, with the regrettable loss of Sqd. Ldr. A. G. Jones Williams and Fit. Lt. N. H. Jenkins. The main differences are its instrument equipment, and, as has already been pointed out, "George," as the automatic pilot is known, who will relieve the pilots of a great amount of the work. A new venting system, designed to minimise loss of fuel by evaporation and surging, has been incorporated in the petrol system. This consists of a collector box upon the centre portion of the wing, into which all tanks vent , a drain from this collector box is arranged to pass back any fuel which may have evaporated into it. The external finish of the machine looks somewhat neater, and it is obvious that particular care has been taken to streamline every part as efficiently as possible. This year the most obvious addition is the provision of "spats" over the Dunlop wheels, an addition which is said to add several miles per hour to the cruising speed, although their weight, which is somewhere about 60 lb., materially decreases the total range of the machine. At all points, such as the top of the undercarriage compression legs, the inner ends of the axle and radius rods, care has been taken to see that these struts merge into the fuselage or wing, as the case may be. The construction of the tailplane is interesting, as, apart from it being of thick section and full cantilever, extra hinge length is gained in a very ingenious manner. This is achieved by making the hinge the full length of a small fixed portion, which is the apex of the whole triangular tailplane and projects some 14 in. on each side of the fuselage. The remainder of the tailplane hinges on this portion when the tail adjusting gear is used, and is stepped round it in much the same way as a horn balance steps round the end portion of a wing. The Fairey Aviation Co., of Hayes, are, of course, as before, the builders, while the engine is an almost normal type Napier "Lion" of about 530 h.p., but with the carburetters specially tuned for economy, and slightly higher compression ratio pistons fitted. The engine drives a Fairey metal airscrew, and from the spinner right back to the fuselage the fairing lines are very clean. The fuel capacity is over 1,000 gallons, the majority of which is in the wings, where eight tanks are situated ; these feed by gravity to a 42-gallon tank in the cabin, from whence it is pumped to the engine. As a safeguard a hand pump is also installed, while direct gravity feed can be used if required. Another safeguard against engine failure is the fitting of duplicate main oil filters, so arranged that either may be cleaned in flight. Although the engine uses practically no water at all during flight, no risk is being taken that the supply should fail, and a tank is fitted in the wings holding a 40-gallon reserve. This water also forms part of the desert ration in the case of forced landing where water is unprocurable. The pilot's cabin is, of course, totally enclosed, and full provision is made for cleaning all the windows. There are also windows on the underside of the wings, through which the pilot can look downwards, and similar ones on the lower side of the fuselage upon which a system of drift lines has been arranged. A hole in the roof is arranged so that sextant readings and compass bearings may be taken for navigation purposes. Particular care has been taken to ensure a reasonable degree of comfort for the pilots, both when at the controls and when in the cabin behind. The pilot's seat can be raised and lowered, while the back is adjustable for angle. The rudder bar has large foot plates, fitted with thick Sorbo pads, in place of the usual pedals. The seat provided for the second pilot in the cabin is of the lounge chair type with padded neck and knee rests. It can be used for sleeping if desired. A short-wave wireless transmitting set is fitted which will be used to transmit routine reports giving the aircraft's position every two hours. The call sign is GEZAA and the wave length 33.71 m. In this connection private wireless stations are asked to refrain from transmitting on this wave length so as to obviate unnecessary jamming and thus the reception of any urgent messages. The Air Ministry has arranged for wireless stations in the United Kingdom, Malta, Ismailia and Aden to keep special watch for signals, but it will also be glad to have authentic reports passed to it which may be picked up by private stations. No receiving apparatus is carried, because it is felt that not only would the extra weight not be justifiable, but also there is little of value which could be sent to the aircraft during the flight, as there are no stations which can send reliable weather reports after the machine has left Europe. It will be possible for an aerial to be rigged and messages sent out should a forced landing occur during the flight. As an example of the extreme care which has been taken to ensure that this machine is the best which can be made for this particular job, the following tests carried out before and during the building of the original aircraft may be quoted: (a) Exhaustive wind tunnel tests were made at the National Physical Laboratory in order to ascertain the aerodynamical characteristics of the various parts. (b) A complete half-wing was tested under full load for all conditions of flight, (c) The complete fuselage was tested for torsional rigidity by loading up the fin and tailplane. (d) A wheel was loaded beyond anything which will occur during landing, without any sign of failure. (e) An identical engine was run on the bench for 70 hr. under the same conditions as will be found during the flight. Needless to say all these tests were entirely satisfactory. No description of the preparations for such a carefully planned flight would be complete without mention of the official who is responsible for all the technicalities and calculations of the flight. This is Mr. F. Rowarth, who carried out similar duties on the last attempt. Mr. Rowarth is employed at the Royal Aircraft Establishment, Farnborough, and is well known to readers of FLIGHT for the accurate way in which he and Capt. Dancy handicap any and every type of machine for air races. His is an extremely arduous but interesting and varied job, and the success of the flight will in no small measure be due to his careful preparation For example, the pilots do not just get in and fly at whatever speed and height they think suitable. A very carefully prepared log has been got out for them, and after taking off they will climb steadily at a very gentle rate, aiming to be, at 6,000 ft. shortly before getting to the African mountains. They will be given in this log a table of engine revs, air speed and fuel flowmeter readings, upon which to fly, thus ensuring that they are doing so in the most economical manner. The flowmeter is interesting and is a type which has been developed at Farnborough. It is now exceptionally accurate, and even in the worst conditions has never been found to be more than 2 per cent, in error. Span, 82 ft. (25.0 m.). Length, 48.5 ft. (14.8 m.). Chord (mean), 11 ft. (3.3 m.). Height, 12 ft. (3.6 m.). Take-off tests have already been carried out, and loaded to about 15,000 lb. (that is, 2,000 lb. less than full load); the take-off run was only 850 yd. The total run available on the Cranwell aerodrome is over 2,000 yd., so there should be no difficulty with the take-off when fully loaded. The route to be followed for this flight to Egypt will be from Cranwell via Duugeness, Cayeux-sur-Mer (about 20 miles north-east of Dieppe), Berre (14 miles from Marseilles), Mount Cinto (Corsica), Tunis, Ben Gardane (Tunisia), Bishire (Lybia) to Abu Sueir aerodrome in Egypt, an approximate distance of 2,857 miles. It is expected that the aircraft will reach Tunis about dusk on the day it leaves Cranwell, arriving at Abu Sueir about noon (G.M.T.) on the following day. The return flight, which is due to leave Egypt by about November 6, is planned in one stage to Malta on the first day and the next stage to Cranwell on the following day. Since the above was written, the trial flight to Egypt has been successfully accomplished. After waiting some days for favourable weather forecasts, the monoplane took off from Cranwell at 7 a.m. on Tuesday, October 27. The machine passed over Paris at 10.23 and over Nice at 4.4 p.m. At 6 p.m. the pilots reported to the Air Ministry that they were over the Straits of Bonifacio (between Sardinia and Corsica), flying blind through a thick cloud. At 10 p.m. they reported that they were nearing Tunis. Next day, Wednesday, 28th, the monoplane landed at Abu Sueir, in Egypt, at 2.15 p.m.
A CHALLENGER FOR THE WORLD'S DISTANCE RECORD: The Fairey Long-Range Monoplane, with Napier, "Lion" engine which, crewed by Sqdn.-Ldr. Jones-Williams and Flight-Lieut. Jenkins, flew from London to Karachi non-stop in 50 hrs. 37 mins., a distance of 3,950 miles. The machine is to be used again on an attempt to beat the record recently established by the French aviator Costes. 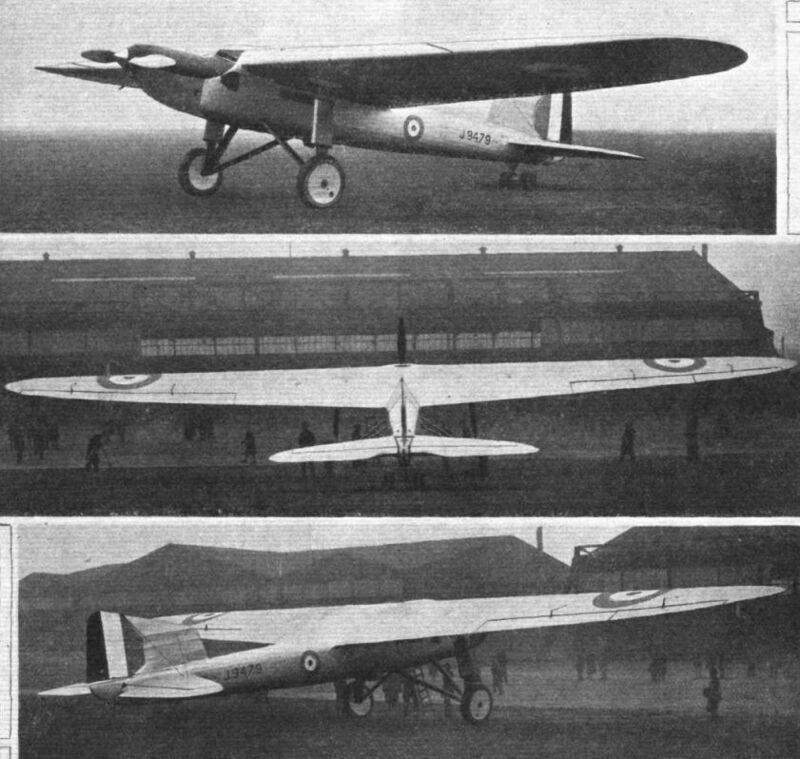 THE BRITISH ATTEMPT TO BEAT THE WORLD'S DISTANCE RECORD: Three views of the Fairey Monoplane, with Napier "Lion" engine. 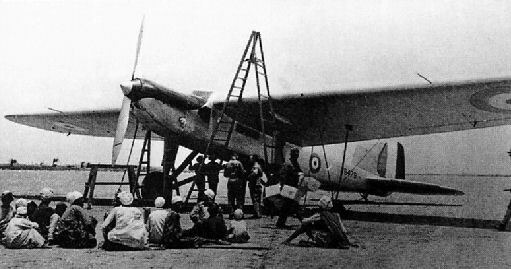 The photograph shows the Fairey long range Monoplane (Napier Engine) which left Cranwell at 10.37 a.m. on April 24th and landed at Karachi at 1.15 p.m. on April 26th, thus completing a non-stop flight of 4,130 miles in 50 hours 38 mins. The pilots of the machine for this flight were Squadron Leader A. G. Jones-Williams and Flight Lieutenant N. H. Jenkins. This machine was specially built by the Fairey Aviation Co. for the Air Ministry. THE FAIREY LONG-DISTANCE MONOPLANE: The only place in the whole machine where members meet at a fairly small angle is near the wheel, shown on the left. The careful streamlining of the tail can be seen on the right. Note the "canoe stern." The tail plane can be trimmed, and is itself balanced so as to facilitate trimming. An important item: The Napier "Lion" is extremely neatly cowled, as this view of the "nose" shows. Note also how windscreen merges into the top surface. Fairey monoplane, fitted with Napier "Lion" engine, which flew to India non-stop from Cranwell, in 50 hrs. 48 mins., and only failed to beat the world's record for long distance through strong persistent headwinds. 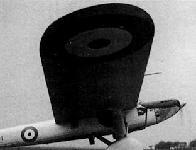 A Fairey metal airscrew was used. WHITHER AWAY? 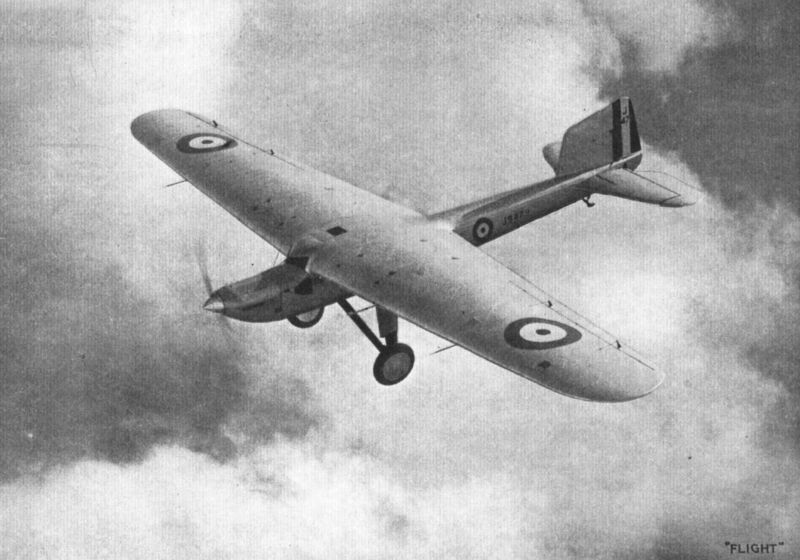 Photograph of the Napier-engined Fairey long-distance monoplane on a test flight. This machine is to be sent on a flight to beat the existing world's record. No destination has yet been given. ENGLAND - ? The Fairey (Napier "Lion") monoplane in which Sq.-Ldr. 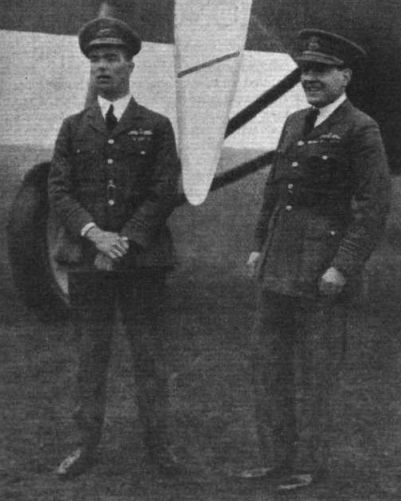 A. G. Jones-Williams and Flt.-Lieut. 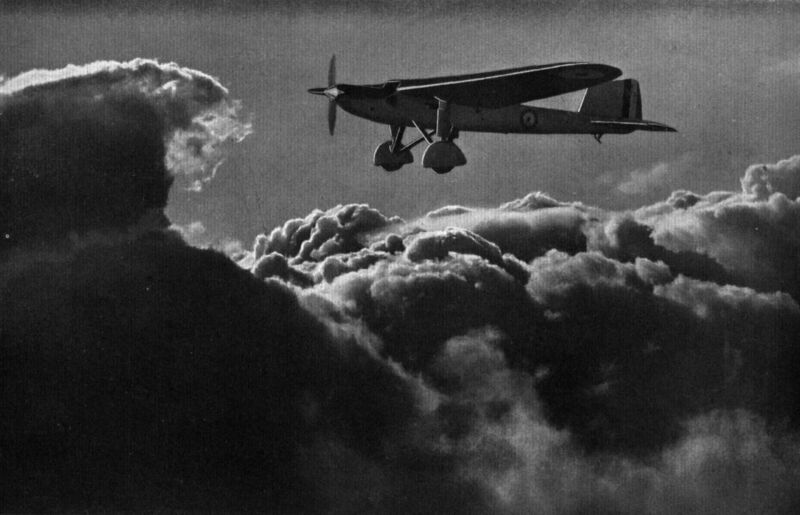 M. H. Jenkins set out from Cranwell, at 10.37 a.m., on April 24 in an attempt to fly over 5,000 miles non-stop towards India. Flying over Cranwell Aerodrome, the scene of successful start for India. The Fairey (Napier) Monoplane in which Squadron-Leader Jones Williams and Flight-Lieut. Jenkins are attempting to fly non-stop from Cranwell to Capetown. Cranwell Officers, Cadets and Aircraftsmen welcome the return of the Fairey monoplane (Napier) from India, on June 15. 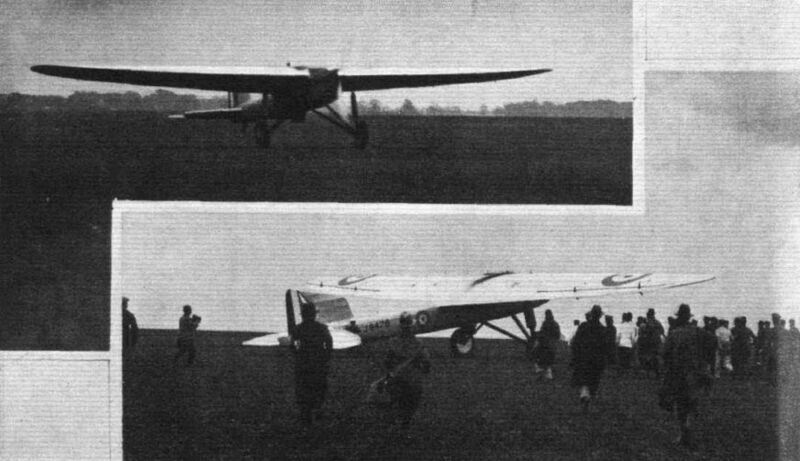 The monoplane is seen making its punctual landing, after flying the last stage from Le Bourget, and taxi-ing in. Беспосадочный полет в Индию. 24-26 апреля 1929г. : первый беспосадочный перелет из Британии в Индию совершил скуадрон-лидер А. Г. Джоунз-Уильям и флайт-лейтенант Н.Х. 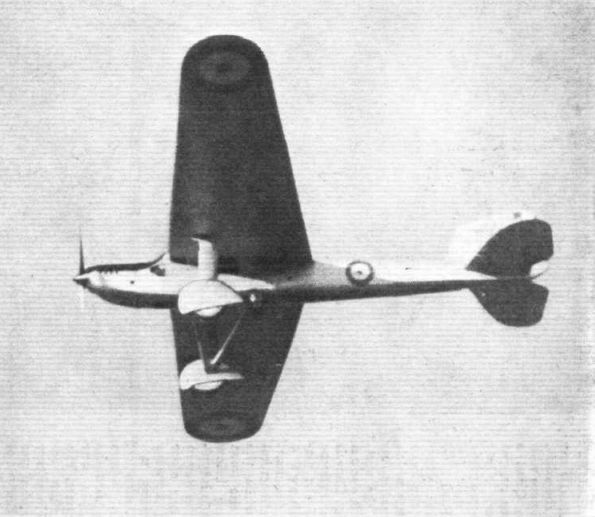 Дженкинз на самолете Fairey Long-Range Monoplane. Перелет дальностью 6647 км из Кренвилла, Линкольншир, (в сопровождении летающей лодки Southampton II из Феликстоу до берегов Голландии) в Карачи, Британская Индия, был совершен за 50 часов 37 минут. Этот самолет изображен по прилете в Карачи. Сначала планировалось лететь в Бангалор, но сильные встречные ветры вынудили сесть преждевременно. The Fairey Stand is one of the most impressive individual exhibits at the Show. 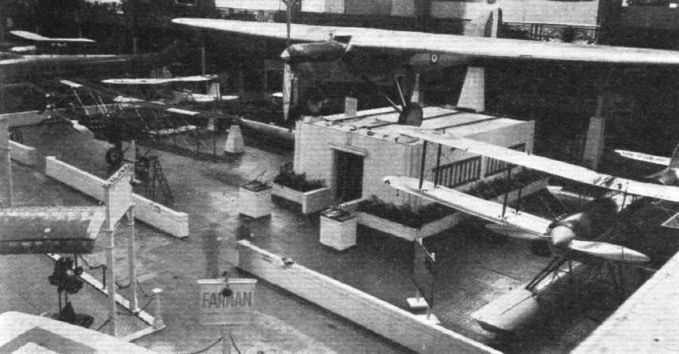 Note the long-distance monoplane mounted on the roof of the office. THE CREW: On the right - Squadron-Leader Arthur G. Jones-Williams, M.C., CO. of No. 23 (Fighter) Squadron, and Flight-Lieut. Eric V. Major, of No. 2, Flying Training School, Digby, who will fly the Fairey monoplane in the forthcoming attempts to beat world's records. Как завершил свою карьеру Long-Range Monoplane II не известно. На колесах основных опор шасси самолета установлены обтекатели. 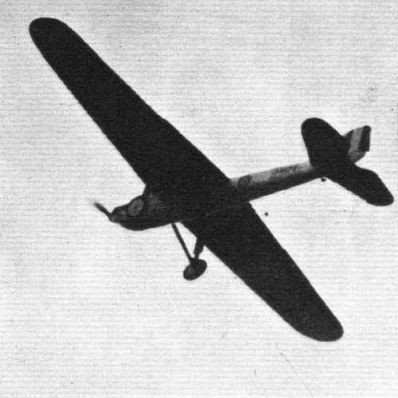 Fairey Long Range Monoplane (6-8 February 1933). The Fairey (Napier) Long-Range Monoplane taxying at Cranwell before the Flight to Egypt. Борьба за рекорды. Дальние перелеты всегда были вопросом престижа, особенно в предвоенный период. Многие страны стремились стать обладателями рекорда дальности. У большинства рекордных самолетов чрезвычайно большая дальность полета достигалась, главным образом, благодаря огромным запасам топлива и, в некоторой степени, аэродинамической чистоте. Типичными такими машинами были советский АНТ-25, британский моноплан Fairey (фото) и французский биплан Breguet 19. 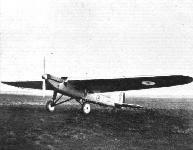 THE FAIREY LONG-RANGE MONOPLANE: The new machine is now completed and has been flying. Like the first machine, it is fitted with a Napier "Lion" engine. Refinements have been added to this second machine, such as the spats over the undercarriage wheels. The centre photograph indicates how "clean" the new machine is. 6-8 февраля 1933г. : пилоты О. Р. Гэйфорд и Дж. И. Николеттс выполнили первый беспосадочный перелет из Англии в Южную Африку на моноплане Fairey Long-Range Monoplane Mk II K1991, взлетев с авиабазы Королевских ВВС Крэнуэлл [Линкольншир) и приземлившись в Узлвисбзй (Намибия). Два летчика установили новый мировой рекорд дальности полета, пролетев 8544 км за 57 часа 25 минут. READY FOR THE "LONG HOP": An impression of the Fairey (Napier) long-range monoplane as Dore might have recorded it had he been Flight Staff Photographer, weather conditions are favourable a start for the 6,000-mile non-stop flight to the Cape will be made at dawn to-day. 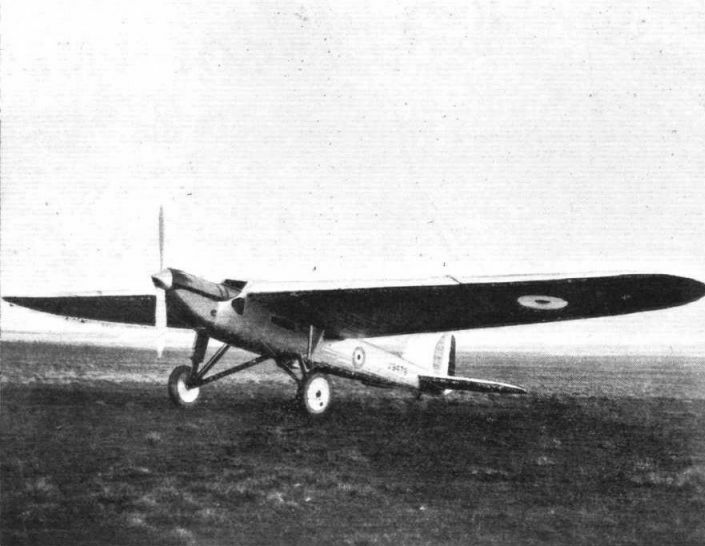 The Fairey monoplane flew non-stop from Cranwell to Walvis Bay in 1933. The Fairey (Napier) Long Range Monoplane flying at Cranwell recently. The rudder of this year's Fairey (Napier) Monoplane has a new design of balance but the whole tail retains its extremely clean appearance. Mr.F. Rowarth explaining the details of the tailplane to a friend. The mass of calculations he has made for the flight appears to have furrowed his brow somewhat.